But one evening I had my laptop open and was giving them another try. I had found a music site that hosted a few songs from their first album, Thrill Seeker. After opening my musically path ways so to speak, I found myself in love with the breakdowns and pure intensity that is August Burns Red (Solid State Records). I followed their wave of success following Thrill Seeker, all the way through the critically acclaimed Constellations. August Burns Red (Solid State Records) is re-creating what it means to be in the metal genre, not only do the members branch out in terms of fashion, but their latest record LEVELER, truly pushes the limits. LEVELER, is not only heavy but also dynamic. There is just as many break downs as there are calmer moments. Some of the most shocking moments come from the song “Internal Cannon“. Which starts off great intensity and then slows down into a very mellow filled guitar lick into what seems to be a section of latin guitar work. This might shock some metal fans, but it truly fits well for this band. Do your self a favor and give this album a listen, if your a lover of music. There will be moments on this record you are bound to like and love. 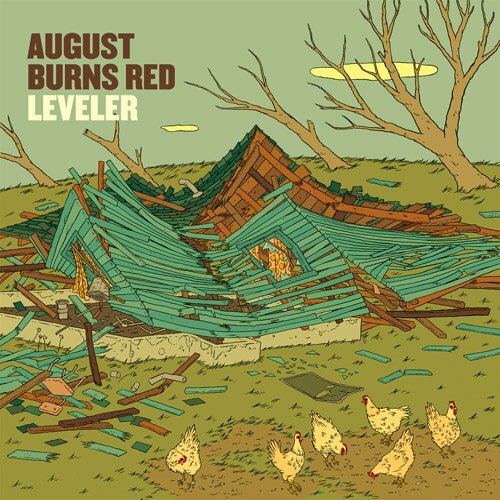 August Burns Red’s (Solid State Records) LEVELER gets 4 and a half stars for a very solid effort. It was well worth the money in my eyes.